For the past few weeks I’ve been totally obsessed with my iPhone, playing with all the apps that are available for editing those photos that I’ve taken on the fly. It’s a lot of fun, it’s quick and it’s easy. But it’s not the same as the satisfaction I get from taking out the full-frame Nikon 700 with a 50mm prime lens to capture image in a way that the iPhone never will. This evening I took my camera with me to the Women’s Hospital in hopes of getting some photos of my brand new great-niece, but there was a sign on the door that they weren’t taking visitors right then, so we just left them a note at the visitors’ desk and left. On the way home, however, I decided to make a quick stop at Veterans Park as the sun was just slipping behind the trees. I figured, I had the camera with me, might as well shoot a few frames. I wasn’t sure what I would come away with since the golden hour was already past, but I upped the ISO to 500 and opened up the aperture and took a few shots of the welcoming committees of geese that came to greet us. 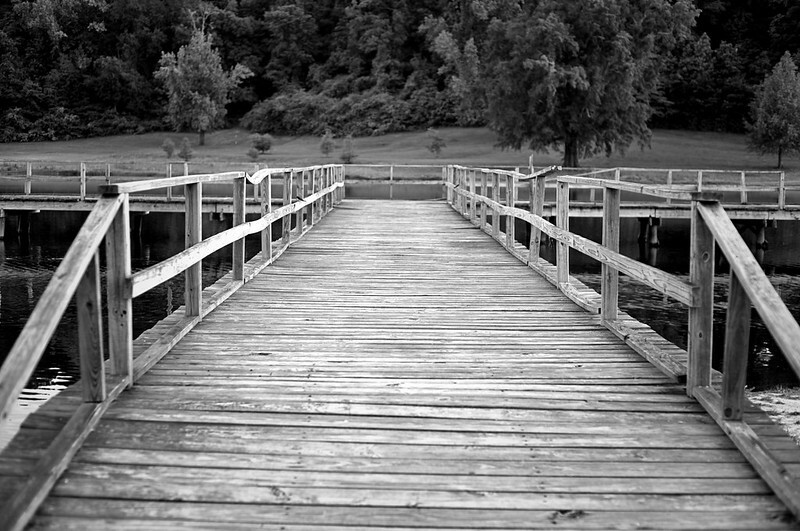 I processed a few of these when I got home, and was pretty pleased with the results. 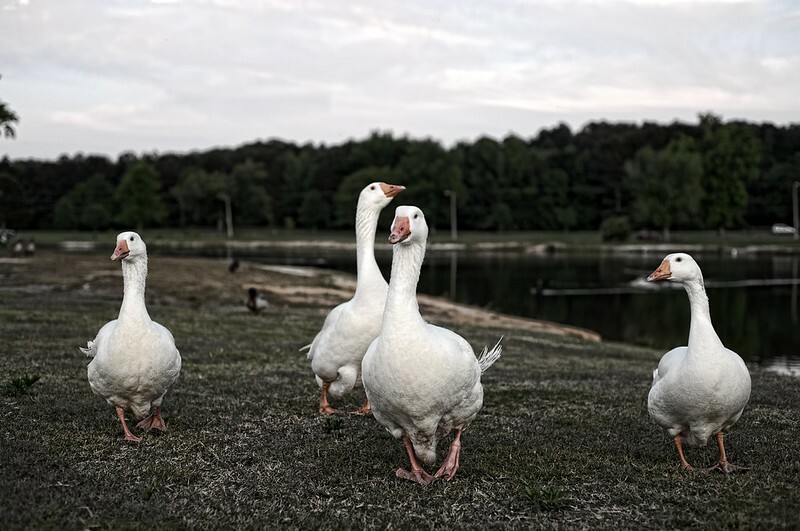 I like the shallow depth of field that resulted from the wide open aperture, it seems to make the geese “pop” from the background. 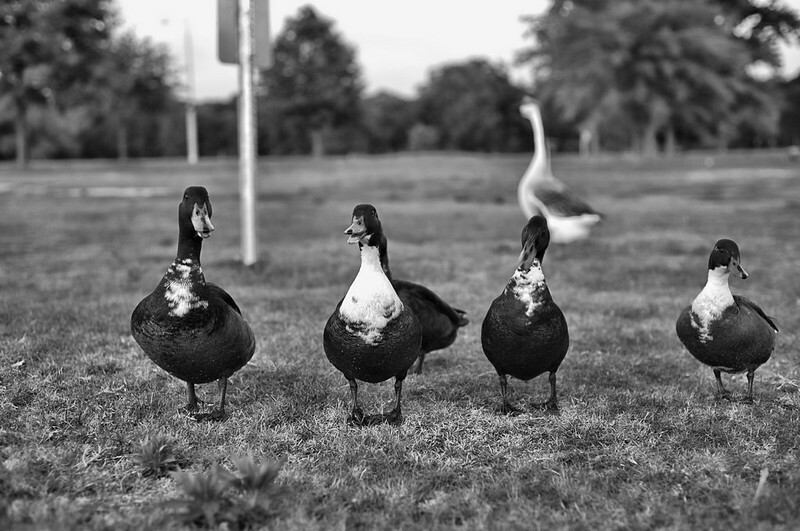 This entry was posted in Shooting and tagged B&W, D700, geese, Mississippi, Nikon, park, photography, Topaz, Tupelo. Bookmark the permalink. i love these photos….they seem to capture the casual relaxed atmosphere of the south….i think i like the photos from this camera better. the way you take pics with the phone is more or less fun imprompto shots that are stylized with all the apps you have on your phone…..you have a great eye for capturing a great view, emotion, or event….i am impressed with all that you have accomplished with your photography….keep going girl!